Tomas Lindberg’s curated event, The Burning Darkness, will host the Gösta Berlings Saga at Roadburn 2019. “Nordic darkness. Desperate, melancholic Nordic darkness. 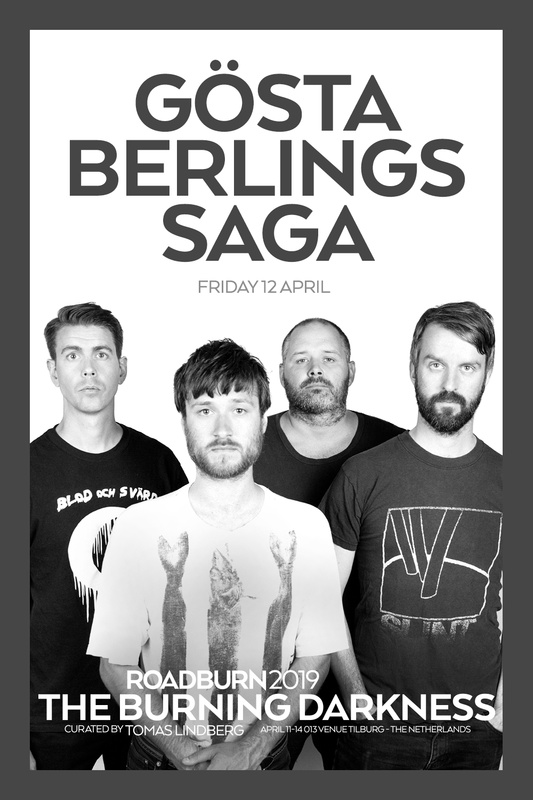 “Gösta Berlings Saga can be described as a complex, yet dynamic, very dark Swedish progressive band. Their soundscapes are challenging, yet still memorable. And, live they are a total beast, a heavy prog beast from the North. Their use of Fender Rhodes pianos, Moog Taurus bass pedals and Mellotron sounds root them in the prog tradition, but their special brand is deeply rooted in Swedish melancholy and the avant-garde RIO tradition of Universe zero and the like. Hypnotic, soulful, captivating, beautiful, yet dissonant, there are many ways to describe the mystery of their unique greatness.